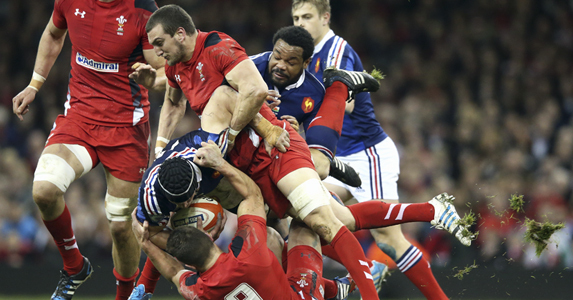 After a week of harsh words from coaches, supporters and media alike, Wales comprehensively beat France 27-6. It was a welcome return to basic platforms and senior players executing their core skill sets to their maximum ability. The Welsh front row was very effective, with both Adam Jones and Gethin Jenkins dispelling the knee-jerk calls for their retirement. The Welsh back-row were particularly dominant with Dan Lydiate back to his ‘Flymo’ best – dictating the tackle-line and leading the tackle stats for both teams. Whilst Sam Warburton played one of the best games of his career. Rhys Webb made a palpable difference to Wales’ ruck-speed and the resulting fast, clean ball allowed Jamie Roberts and George North to regularly plough over the gainline – Roberts beat more defenders than any other player on the field. North, particularly in the first half, made countless damaging forays over the gainline. North’s name was mentioned so many times in the first half that the commentary sounded like a SatNav. Wales are back in the game – and not just metaphorically. England’s victory against Ireland means that Wales are back in THE game. It’s all to play for. The Welsh management spoke to every single player this week regarding their performance against Ireland. Publicly, in Wales, it was the front five that received the most criticism. And if the criticism must be damning when things go wrong so must the praise when things go right. The Welsh tight five were superb against France. Despite a very slippery surface which resulted in more slips and slides than an event at Sochi 2014 the Welsh front row dominated their French counterparts. Adam Jones’ scrummaging was powerful and both Richard Hibbard and Gethin Jenkins put in the sort of performance that fuses the role of a front row forward with that of a back rower. Luke Charteris carried Wales out of some very tricky situations and executed a series of wrap tackles that, with his long arms, make it look like the ball carrier has been set upon by a boa constrictor. And let’s not forget Jake Ball’s input which, given the late withdrawal of Alun-Wyn Jones, was particularly pleasing. 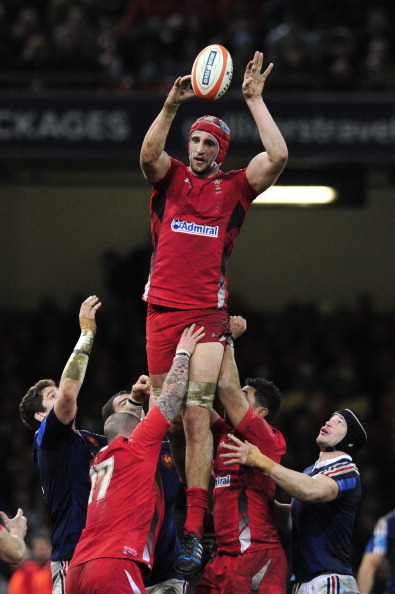 The return of Luke Charteris was always going to benefit the Welsh lineout and it did. The Welsh lineout ran at a comfortable 87.5% – with Wales winning 14 and losing just two. But Charteris’s impact on the Welsh lineout may not be as obvious as you may expect. Whilst Charteris had four clean takes in the game, he was largely used as a decoy. His enormous, obvious, presence in the middle of the lineout created some clear space at the tail, and aided by the accurate throwing of Richard Hibbard, allowed Wales to dominate the back of the set-piece. It created a steady stream of fast, ‘tail’ ball and made Sam Warburton the games’ top lineout jumper. Clever work. Whilst the quality of Welsh lineout ball at the tail and the work of the pack obviously contributed to the speed of the Welsh ball against France; Rhys Webb also made a significant contribution. His ability to get the ball away from the base of the ruck against France was crisp and allowed Rhys Priestland a valuable extra split second on the ball. 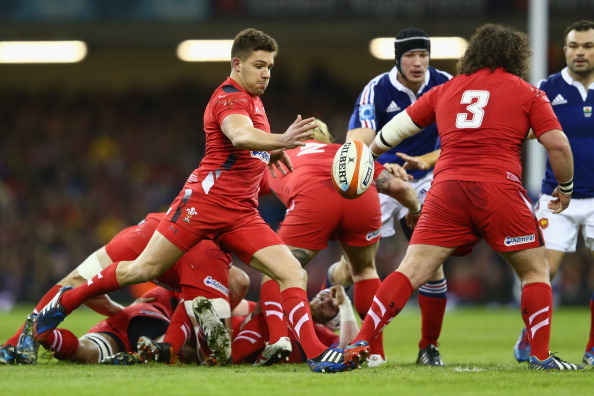 It’s no coincidence that Rhys Webb is able to move the ball at greater speed – it’s a matter of bio-mechanics. Webb stands at 5ft 8inches tall – Mike Phillips at 6ft 3iches tall. This means that Webb is able to bend down to the ball and back up again faster than a taller scrum-half can. It’s also no coincidence that the majority of the world’s finest passing scrum-halves have all been under 5ft 10 inches tall – Joost van der Westhuizen being a rare exception. Webb made a valuable contribution against France and deserves another shot against England. Sam Warburton has featured in many a negative headline recently. Many regarding central contracts. Many critical. Many unnecessary. That won’t be the case this week. Warburton was tremendous against France. But it wasn’t just his core skill set which excelled on Friday. Yes, of course his defence and ‘jackaling’ was first class – his body position in some of the rucks was so low that it was lizard-like. But Warburton also excelled in some other, sometimes, less obvious aspects of his game. Warburton was the pack’s top ball-carrier – even out-carrying the ever impressive Taulupe Faletau. Warburton was the game’s top lineout forward and he demonstrated some slick, instinctive passes which avoided contact and opened up space. And of course he scored a try with a 464lb leg drive – he had Nicolas Mas and Dimitri Szarzewski on his back as he crawled over the line. Bravo, Warbuton.